Where do you see yourself spending your golden years? Many, if not most of us, have a desire to stay in our own home as long as possible. Unfortunately, that’s not always possible, however, planning ahead for your potential future home needs can drastically improve your chances of remaining in your home longer. 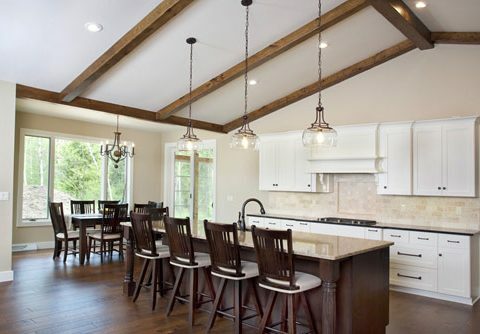 Whether this means buying a new more accessible home during mid-life, or remodeling your existing home, there are are several things to keep in mind to make certain your house will accommodate your needs—and the needs of your loved ones—as time goes by. First and foremost, think safety! Nowhere holds more potential danger than the bathroom. Whenever possible a walk-in tub or zero-entry shower with a sturdy, built-in bench are best. 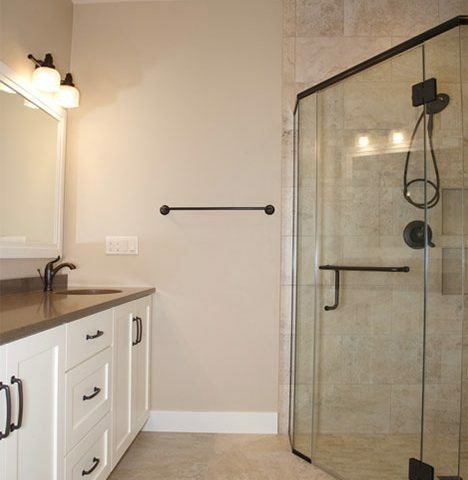 In both showers and tubs, non-slip tile, grab bars and railings are must haves. Additionally, a single hot-and-cold faucet with an easy-to-turn handle is recommended. Accessibility is also key. Think about all the areas you can make more accessible in a home … In general, a shorter walk from the driveway to the front door means less icy ground to cover and counter spaces that accommodate a stool for seated work will minimize standing fatigue. Also look at the height of things around your home; lower windows and sinks are wheelchair friendly and lowering the upper kitchen cabinetry improves accessibility and decreases the strain of reaching for higher items. 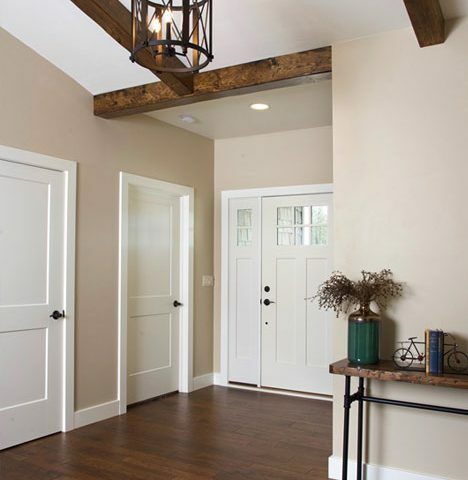 One of the most significant areas to consider for accessibility are interior and exterior doorways. Make sure they are wide enough to allow a wheelchair or walker to easily pass through. In addition to a wider front door, consider a ramp rather than steps leading to your entry, a no-step threshold and wide entry hallways for safe, convenient access. Also remember, older eyes require more lighting and brighter bulbs. Many late-night falls can be prevented with motion sensing or floor-level lighting—both outside and inside the home. Keep in mind, modern, rocker style switches are often easier for arthritic hands to manipulate. This list is just the beginning of making your home safer and more accessible. More good advice on this topic can be found from the National Aging in Place Council and AARP. As you look to buy, build or remodel, contact Van’s Lumber. Together we can plan ahead, so you have the option of staying put as you age.